It’s hard to imagine a more traumatic experience than the unexpected death of a loved one. But imagination often becomes reality for Black Americans, who are more likely than White Americans to experience the premature death of family members and friends. Debra Umberson’s article in the Journal of Health and Social Behavior investigates racial disparities in this experience and the resulting impacts on mental and physical health. Using population-level data from four data sets, including the National Longitudinal Study of Youth, Umberson finds that Americans rarely experience the death of someone close to them until mid- or later-life—Black Americans, however, are the unfortunate exception. Black Americans experience losses earlier and more often in the life course than White Americans. For example, Black children were three times more likely than White children to lose a mother by age 10. Umberson argues that, similar to other social resources, close relationships are unequally distributed in the population. So what does this mean for the health of Black Americans? Well, research shows that greater involvement in social relationships enhances mental and physical health and promotes longevity. Social relationships early in life foster a sense of security and predictability, and disruptions to these social ties through separation or loss produce mental and physical problems, such as hypervigilance and chronic stress. 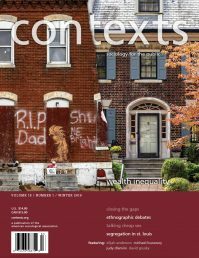 Consequently, racial disparities in the experience of the unexpected death of a loved one undermine social connections, positive health, and well-being across the life course. Greater attention must be dedicated to understanding the pathways through which death and loss disadvantage Black children and families. 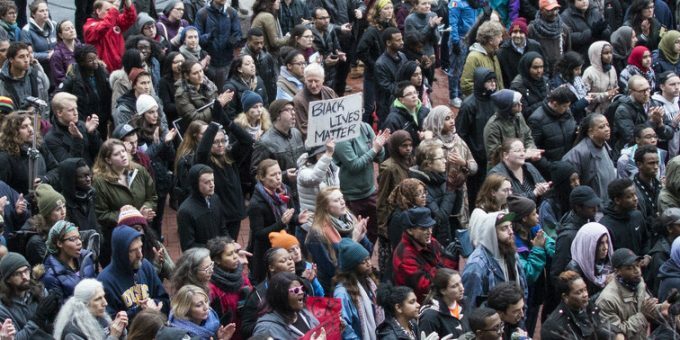 Ultimately, social and political action needs to convey the message that Black deaths matter.